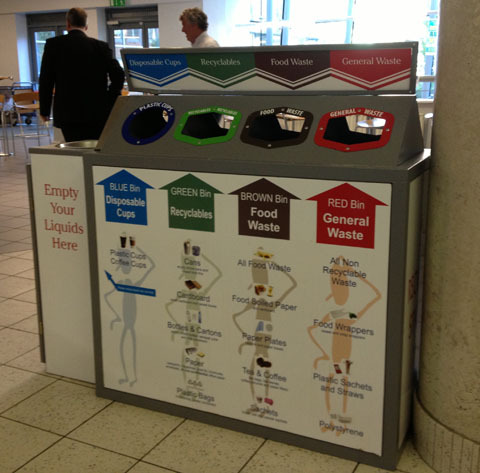 The Irish are hipper with recycling than we are in most places in the States. The Dublin Institute of Technology, for instance, provides some bins that are clearly labelled and located in sensible places. Recycle bins at the train station “guarantee to recycle 70% of the contents” deposited into them. That beats us by leaps and bounds! Recycling at DIT’s headquarters on Aungier Street.